I imagine Overstrand in England’s late 19th century. It is winter. The grey North Sea can be heard crashing its rollers on the beach below the cliffs. The cry of gulls on the gale add but more wildness to the day. In the cottages here on the remote coast of North Norfolk, candlelight illuminates the dish of herring that form the evening meal of the population. This is a horsedrawn world, quiet, non-electric, non-digital, with time to think and ponder your life. Your heroes are the sailors who bring home these silver fishes for your dishes, the seamen, your relatives and friends, who brave the storms in their sailing boats – and latterly powered by steam engines – in order to harvest the great North Sea of its bounty. Death is always near; if not from drowning, he visits with disease and injury in a time long before our National Health Service. Such a different life from ours today! My imaginings were prompted by what I had just discovered on a hot, Summer’s afternoon whilst walking past an old cottage atop Overstrand’s cliffs. 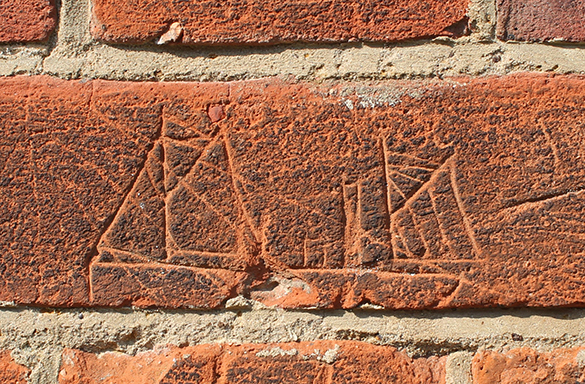 My eye had caught the exquisite rendering of herring boats – “drifters” – carved into the brickwork of the cottage wall. 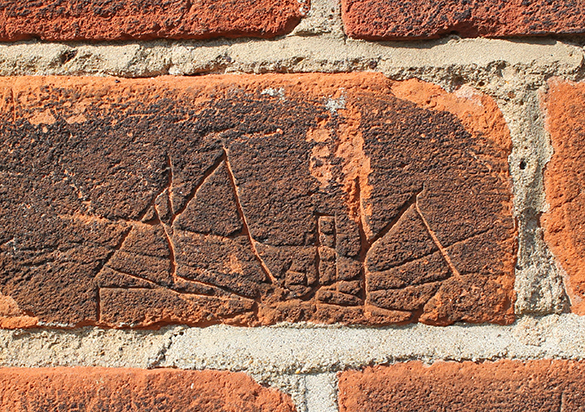 Each boat sails upon a sea of cement below the brick. The gaff-rigged sails, steam chimney and upward angled prow of the vessel speak of a deep knowledge of the subject. 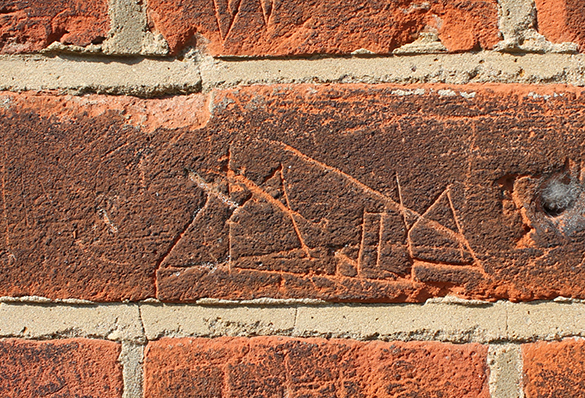 I feel a connection to a person now dead who took the time to scratch these important images of their life into the bricks. What was the purpose? Was it simply a love of the boats? Was it hero worship or some deeper, spiritual ceremony to bring luck or success in the hunt for the elusive shoals? 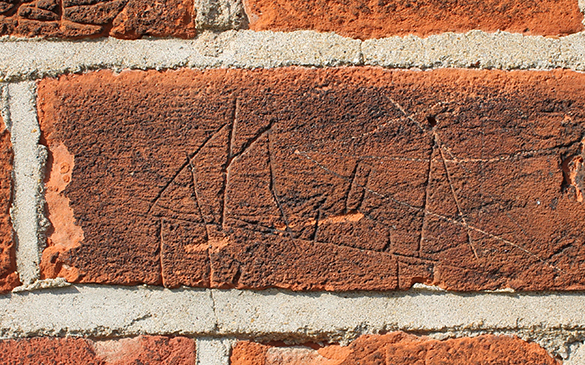 All I have to work with is this evidence on the cottage wall. The rest is conjecture but nevertheless, I am in a culture now past. I gulp and a tear rolls. I am deeply moved. Here’s to you! Fishing here was your life; all consuming, necessary and endless. You were born, you fished and you died. 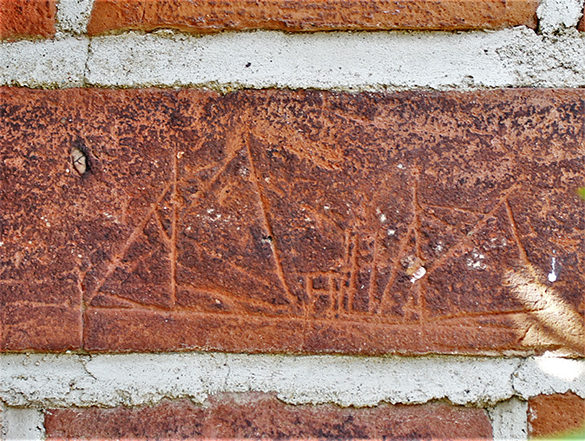 Occasionally you would carve another boat on that cottage wall. Did you do it for me? Were you seeking some form of immortality? Whatever your reasons – thank you.